The computers in both library locations have all the hardware and software you need to be able to use images and sound. However, there are also so-called thin clients (TCs) which do not have these facilities. You can recognise these computers by their shape: small, black, upright boxes. You can find more information on TCs in the subsection Software in the library. Students have access to all kinds of facilities at the Inner City Library, such as electronic whiteboards; large flat screens; beamers (including boxes) and projection screens; a large multi-touch flat screen with audio supplies; and a ‘sound booth’ which concentrates the sound above the set of multimedia study places nearest to the information desk on the ground floor (zone C). 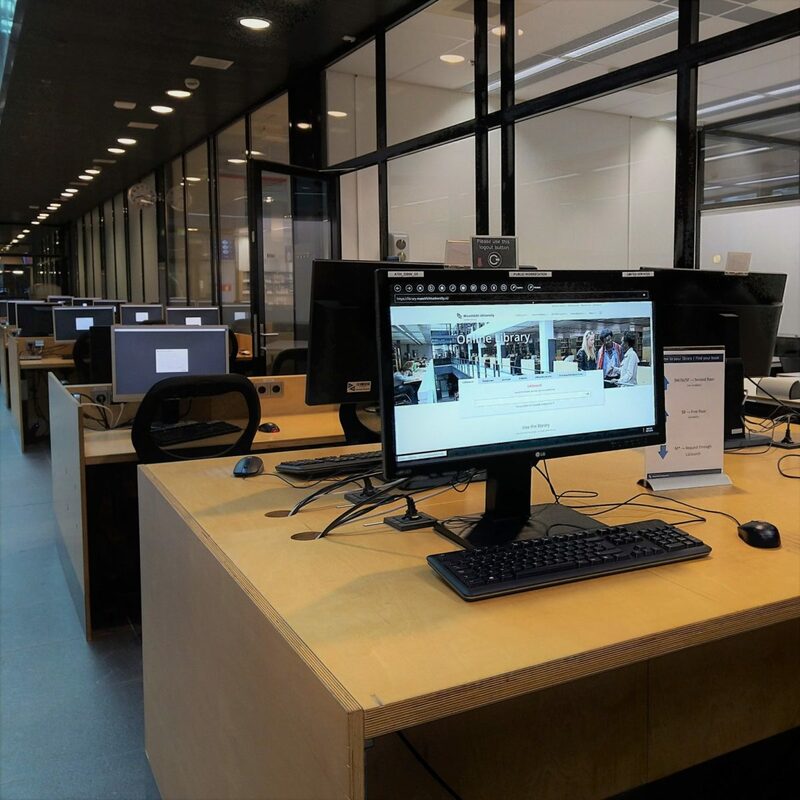 Four movable 54” multi-touch screens are available at the Randwyck Library.